"Never had anything as yucky as this" happen before, says one official. It's no secret that dealing with bureaucracy can be a frustrating experience. But one man vented his anger in a manner that can only be described as extreme. 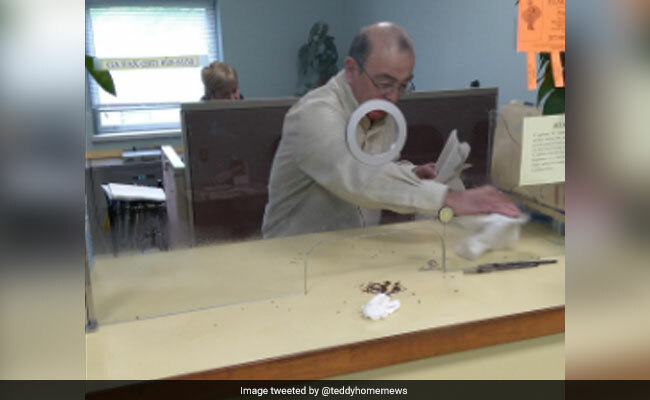 He slammed a cup full of bedbugs on a counter inside a government office in the city of Augusta, Maine, causing the little pests to go flying across the office. Some of the bugs even landed on an employee on the other side of the counter. The incident forced the closure of the entire building as exterminators were called in to kill off the bugs. According to the Kennebec Journal, the unnamed man went to the code enforcement office on Friday to complain about bed bugs at his former apartment. He let the bugs loose after learning he did not qualify for assistance in looking for a new apartment. "He whipped out a cup (full of live bedbugs) and slammed it on the counter, and bam, off they flew, maybe 100 of them," City Manager William Bridgeo told the Kennebec Journal. He added he had "never had anything as yucky as this" happen before. Asked why he did what he did, the man reportedly told police he wanted the officials to experience the same thing he was experiencing. "Frankly, the General Assistance office has nothing to do with bedbugs. It's an extraordinary bit of misdirected anger," Matt Nazar, city development director told the Kennebec Journal. The office building has since reopened after being declared bug-free. The bizarre incident is still under investigation and it's unclear what, if any, charges will be filed against the man.